Updated listings on Amazon UK, followed with confirmation on the Manga Entertainment UK Twitter profile, reveals that the Yu-Gi-Oh! The Dark Side of Dimensions movie, will be released on DVD and Blu-ray within the UK on the 29th May 2017. Specific details about this release, such Audio options or the inclusion of a Yu-Gi-Oh! Trading Card, have yet to be confirmed however we do know that Manga Entertaiment UK plans to release a ‘bundle version‘ of the movie which combines both this year Yu-Gi-Oh! The Dark Side of Dimensions movie with the previously released (but now out of print) Yu-Gi-Oh! Bonds Beyond Time OVA Movie feature. The Yu-Gi-Oh! Bonds Beyond Time was made to celebrate an anniversary of the franchise and saw three generations of the Yu-Gi-Oh! 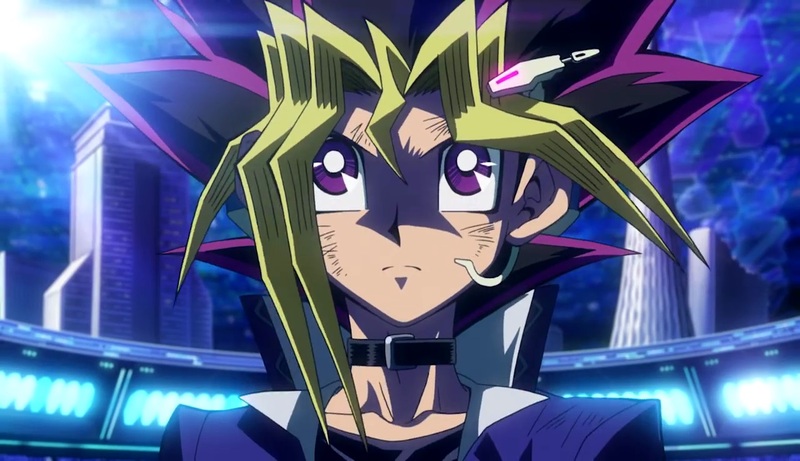 anime franchise, namely Yugi from Yu-Gi-Oh!, Jaden from Yu-Gi-Oh! GX and Yusei from Yu-Gi-Oh! 5D’s, team-up to stop an enemy thats attempting to warp time. It was also one of the first anime releases this site ever reviewed. In related news Yu-Gi-Oh! The Dark Side of Dimensions earned £112,810 from screenings across the UK; which for a film that only had limited showings across the UK it is a reasonable figure.